Exclusive offer - we have renewed our range of powder products. You can find now a wider selection of both the products and shades. Get S$15 discount on all powder products you buy during September. 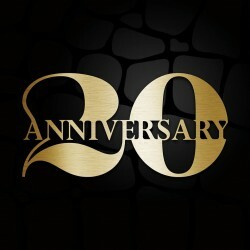 On popular demand, we are extending our 20th anniversary offer. All our LIPSTICKS at $20 nett each, until May 31 2016. From now till 22 May 2016 at all stores / counters. Pick your favourite colour today! * Not valid with other discount or promotion. Members enjoy 20% OFF storewide. In 1996, Mika Liias opened up the first Make Up Store and have since then had an exciting journey. To celebrate this, they offer a 20% discount on complete assortment. Join their in celebration at Paragon #03-20 / [email protected] #04-10 / Robinsons The Heeren & Jem/ Tangs VivoCity. 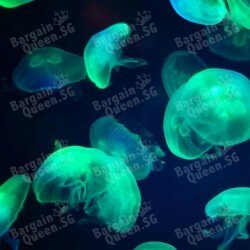 Grab and Enjoy this great Singapore sale! 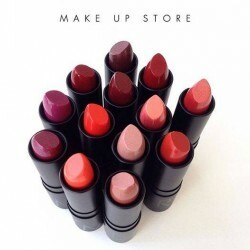 Storewide 10% off discount member are entitled additional 10% off discount at make up store. make your beautiful & gorgeous. Base Promotion for Month of May! 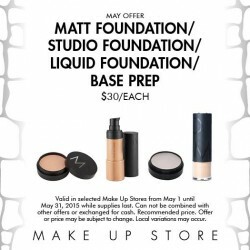 Make Up Store offer Matt Foundation/Studio Foundation/Liquid Foundation/Base Prep at $30 each. Cannot be combined with other offers or exchanged for cash. Recommended price. Offer or price may be subject to change. Local variations may occur. 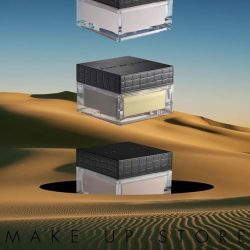 MAKE UP STORE is offering their Wheat Body Scrub at $20 each. Valid in selected stores only. While stocks last. Terms and conditions apply. Visit in-store for more details. Valid for members only. 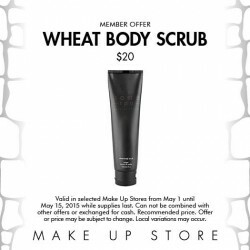 Make Up Store offers you Wheat Body Scrub for only $20. Valid in selected Make Up Stores from May 1 until May 15, 2015 while supplies last. Can not be combined with other offers or exchanged for cash. Recommended price. Offer or price may be subject to change. Local variations may occur. Let’s get personal. It’s administrative Professional’s Day! You’ve been working hard, they want to commend you on your hard work. 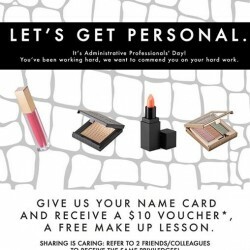 Give them your name card and receive a $10 voucher, a free make up lesson. Sharing is caring: refer to 2 friends/colleagues to receive the same privileges at Make Up Store. 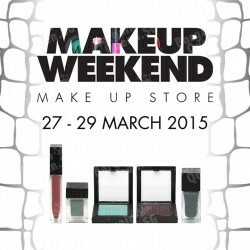 MAKEUP WEEKEND 27 - 29 March! Enjoy FREE express makeover, eyebrow trimming and manicures from their team of beauty experts. Let them inspire you with the latest makeup trends! 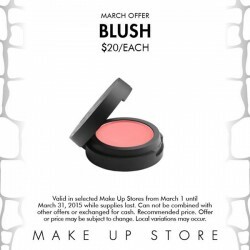 Monthly Offer for March - Blushers at $20 each! Blush Colour is available in any colour and nuances. Choose between lustre, glitter, dark and light shades. To get a nice harmony and a natural look, sweep some blush on your eyelids as well. Sign up their club membership to join their exclusive Club Day! Be the first to get a closer look at OceanUtopia - Make Up Store's March look. On Saturday, 14 March 2015 at Robinsons The Heeren. Enjoy member's discount at 20% OFF and many great offers only available during this special Club Day. Make Up Store's Member offer Massage Oil Candle for $20 from February 1-15. 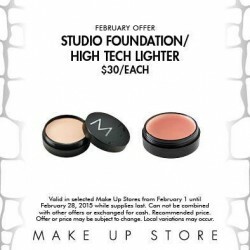 February Offer Studio Foundation/High Tech Lighter for $30 each. Try a new color! 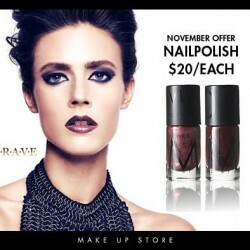 Make Up Store's November offer : All nail polishes at $20 each. 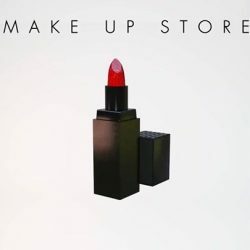 Make Up Store is located at VivoCity, #01-02. Make Up Store's September offer! All lipsticks at S$20 EACH! 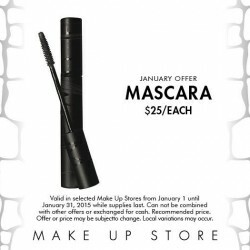 Check out Make Up Store's September offer! 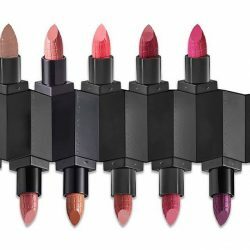 lipsticks now at $20 each.